An impressive post, I just gave this to a colleague who is doing a little analysis on this topic. hot deals onlineAnd he is very happy and thanking me for finding it. But all thanks to you for writing in such simple words. Big thumb up for this blog post! Sounds like a public relations move on the part of MySpaceNYC after they've gotten some bad press for profiting off of the displacement of long time Black and Latino residence and then overcharging new tenants. 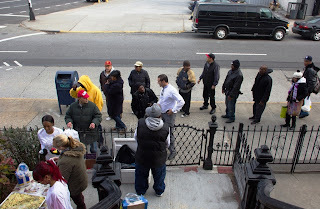 MySpaceNYC spends a few hours handing out free food, and thinks they can fool us into believing that they care about this community and it's long time residence. Has MySpaceNYC changed their practices of illegal evictions, refusal of services and repairs, and rent overcharges? Have they stopped harassing long time tenants? We need to see some actual change in the practices of MySpaceNYC and not just a little chicken and potatoes.